Kevin McCelland over at Enve asked us to Build him a gravel monster to help launch and hi-light their new Gravel bar and Fork. Ummmm yeah?!!. First, Kevin is a ripper. I love building bikes for a super strong rider who pushes the boundaries on two wheels. 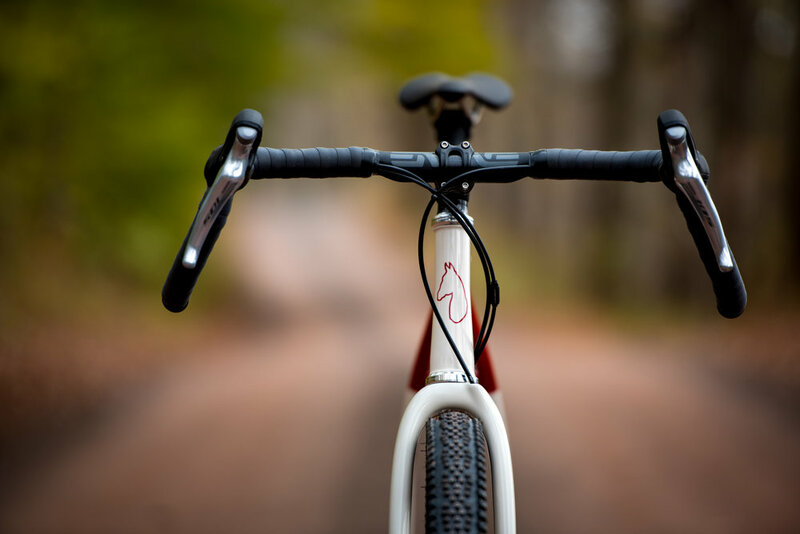 Kevin wanted a monster gravel ride that could handle most single track but also endure on longer gravel rides. Something that would be at home in Quincy, CA at Grinduro and also handle the DK 200. 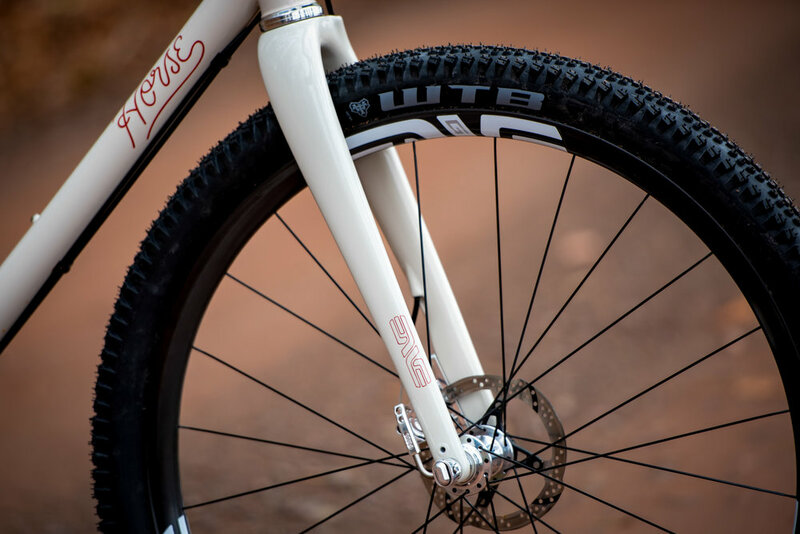 The bike was built around the New ENVE fork and Bars, the style of riding kevin would be doing and the tires he would be shredding on. 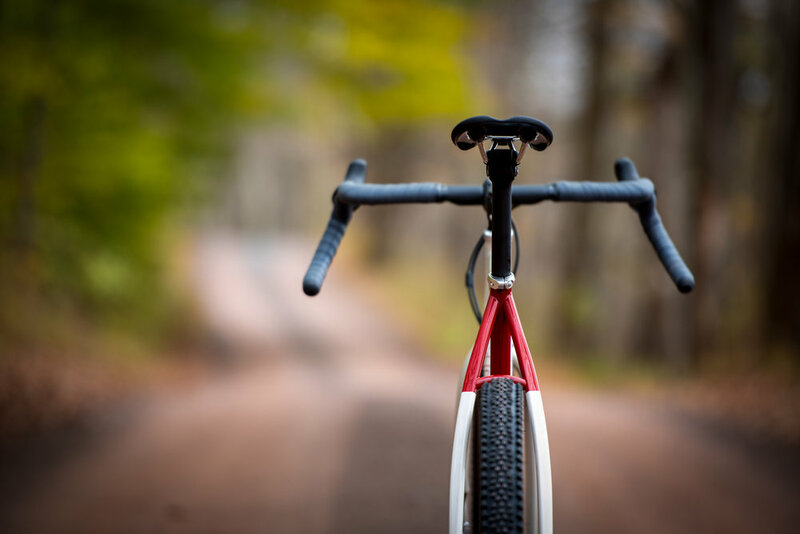 In this case maximum clearance to show the capability of the new carbon fork. Using a 27.5 x 2.25” WTB Riddler tire makes this a MONSTER of a gravel bike. 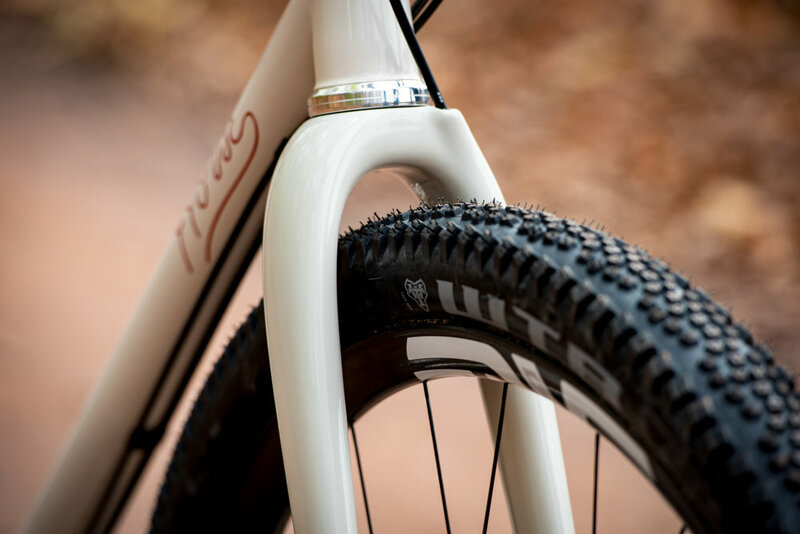 I think the spec on the site is 60mm width tire complicity but i’m pretty sure you can run a 2.5” on this fork and the rear end would be happy to see something that large. A hand stamped brass BB badge for a special touch. Horse X Enve. The new fork is super sick. Maximum clearance / clean lines / internal cable routing / fender mounts and offered in 50mm rake with a 47mm rake to be released in the near future. The new Gravel Bar is a game changer. The added width creates stability in the drops and allows confidence at speed under the most challenging terrain. Also they are super comfy. I’m all about that comfy comfy! A few specs on the build: Tapered hand turned head tube, full Columbus Life and Zona Steel tubing, flat mount disc brakes front and rear, 1X drive train. We used a 73mm T47 Bottom bracket and an M30 White industries crank to achieve the rear clearances for a 2.5” tire. Three sets of Water bottle mounts, Enve bar, stem, seat post, fork and G27 rims laced to White hubs. Also a polished White ind Headset. 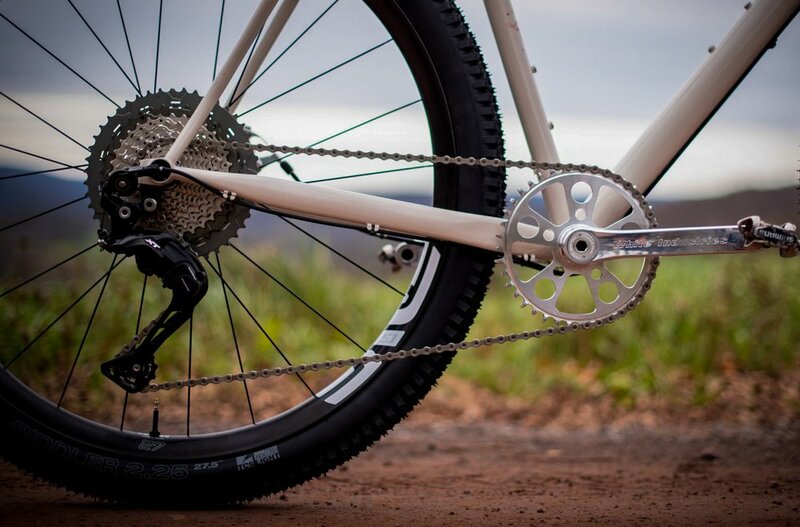 We used the New Paul Klamper flat mount disc brakes and Paul thru axle skewers wich rule and really add to that bling. 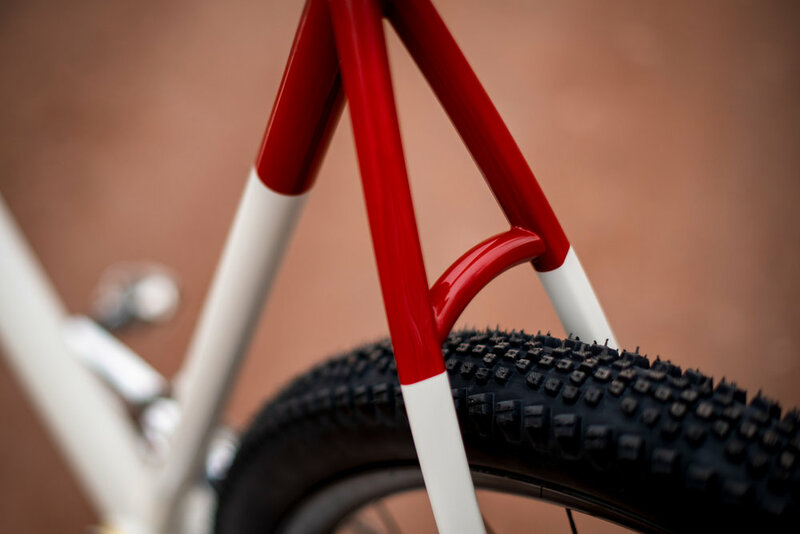 The Paint work from Horse Cycles Paint is simple but meaningful. Appropriating the minimal look of the Fast Boy Assless bike is a homage to Ezra. A New York builder who is no longer with us but lives on through his amazing spirit. All and All this was an amazing build for me. It allowed me to push the boundaries of building, work with wonderful people and do some great riding. Thanks so much to Kevin for his vision and trust in me as a builder. I hope to build many more MONSTER GAVEL bikes like this in the future, as always putting my heart and sole in to each frame. I’d also like to thank Ian Matteson who took these amazing photographs and everyone at Enve Composites who made this pretty rad stuff.